Plenty of precious metals exchange traded funds have enjoyed a renaissance of sorts this year and that list certainly includes the iShares Silver Trust ETF (NYSEArca: SLV) and the ETFS Physical Silver Shares ETF (NYSEArca: SIVR). The two physically-backed silver ETFs are up more than 27% year-to-date. Silver and other precious metals enjoyed safe-haven demand as the equities market plunged into a correction. The metal also maintained its momentum as the Federal Reserve lowered its interest rate outlook to only two hikes this year from a previously expected four rate hikes. Additionally, with the dovish Fed stance, the U.S. dollar weakened, which made USD-denominated silver cheaper for foreign buyers and a better store of value for U.S. investors [Read more: Silver ETFs Are Outshining Gold]. 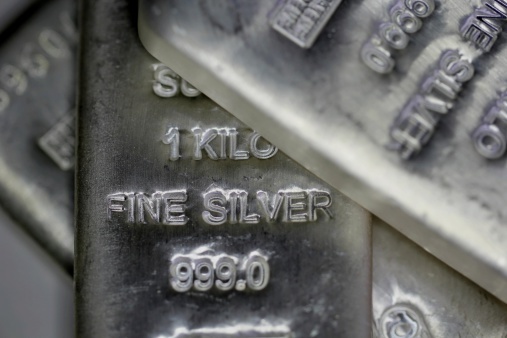 However, the big gains for silver ETFs have come in rapid fashion, helping funds like SLV and SIVR top their gold counterparts while also prompting speculation that silver prices are primed for a near-term pullback.